Remember the last time I traveled to Chicago for dinner at Alinea? It happened again, only this time on the ground, thankfully. Nothing like being ready for takeoff when the engines shut down and you hear the captain say, "Uh, folks, some of you might have seen me outside just now; there's something leaking out of our left engine, so just hang tight until we figure it out." I swear. Can't a girl just get to Chicago? We boarded another plane shortly thereafter and got to Chicago safely, just a few hours behind schedule. And by "we" I mean me, and my friend and neighbor, Linda. She and her family have eaten nearly everything I've cooked for this blog, and her husband, Sean, went to Alinea last year with some work colleagues. So, it was her turn to go. I found my charger, plugged in my iPhone, and started checking email while Linda read the piece. "Yadda, yadda, yadda, Wylie.... then they talk about some guy named McGee..... there's Michael Ruhlman, oh look, there's Grant.... and OHMYGOD YOU ARE IN THIS ARTICLE, TOOOOOOOOO!!!!!!!!!!" Thank you, Carrie, for including me in the piece. What an honor. And, couldn't have been more perfect timing, too. Wow. So, my dinner at Alinea. Let's get to it. We started with five cocktails Grant and the team are developing and testing for his new bar, Aviary (opening Fall 2010). Last week, when I finally felt ready to write about this dinner, I did a Flickr search for photos I could link to. Turns out, Alinea at Home reader Kathryn Yu had the Alinea experience not long after I did and took the most beautiful photos, and she's graciously agreed to let me share them with you. So, take a deep breath, click on this link, and take it all in. Because of my gluten issues, a few of my dishes were different than Kathryn's. Where she had "Malt," I had "Vanilla." Instead of Nutella powder, I had Dry Caramel. Where she had Corn, we had Green Almond (that was a seasonal difference, not a gluten switch). Where Kathryn (and Linda) had Black Truffle Explosion, I had foie (poor me, right?). And, where she had coconut in the chocolate table-top dessert, I had vanilla (that's not a gluten thing; that's an I'm-allergic-to-coconut thing). When I sat down to write this post, I started describing every course but found I was repeating myself because every single bite of food I ate was phenomenal. Whenever I do a tasting menu somewhere, I like to play the game of "what course could I have done without" and "what course was my absolute favorite" and this was one of very few times in my life that I couldn't answer either of those questions. I was thrilled to find Kathryn's photo set because just clicking through those really tells the story of what the dinner was like. I do want to spend a little time on four of the dishes I still think about at least once a day: Pork Belly, Salad, Squab, and Chocolate. Let's move on to Salad. I loved this dish because a) I love to eat salad with my fingers and this provided ample opportunity for that; and 2) I'd read about it on Alinea-Mosaic. Here's how they developed this idea: Salad with Ranch Dressing. The layered service piece is beautiful, and quite a nice surprise to find vichyssoise underneath. And here's the thread on Alinea-Mosaic where Christian explains how this course came to be: Squab, charred strawberries, lettuce, birch log. Squab has never been a favorite of mine, until I had it this way. Now I get how good it can really be. The last course, Chocolate, I find myself going back to time and again because it was plated on a silicone mat rolled out on the table. The last time I went to Alinea, a little over a year ago, they hadn't started doing this particular type of dish (in fact, they started doing it not long after I was there, and I was a little jealous of the people who got to see and eat it). I remember reading about it and watching the videos people sent me, and thinking, wow, that's kinda cool but also a little, um... weird, maybe? But also kind of awesome? But I'm also biased? And jealous? And maybe I need to stop obsessing over it? So when the service team rolled out a translucent white mat on our table and started placing little dishes and pans of sweet-looking things on top of it, I started to jiggle my knee a bit. A few seconds later, Chef de Cuisine Dave Beran came out at the end of a very long night to paint our table with dessert. It was absolutely stunning, and just so much fun to watch. Photos and video really don't do it justice. It makes a difference when you see it in person. Dave has these really strong, masculine hands -- hands that had spent the past 12 or so hours working in the kitchen. But these really strong hands served this dessert in such a deft, beautiful, and captivating manner, I couldn't take my eyes off what he was doing. Eating it was just a bonus. If I could have licked the table clean, I would have. King Crab (this is 3 courses in one, served in one serving piece that is both hot and cold (remember the McDLT? - ha!) and offers a progression of flavors that opened up beautifully. Every year, I set goals for myself, or, I think of a word or two that I want to guide my decision making and opportunity creating. Back in 2007, that word was yes. I let it guide me in 2008 and 2009, too, and am now able to look back on some pretty remarkable experiences I know I otherwise wouldn't have had, had I not set my mind to it. At the beginning of this year, I did a little re-evaluation. A little fine-tuning. I thought about the kinds of things that really and truly make me happy and decided to do them even better. For example, I love going to concerts and seeing live music, but instead of cramming my calendar full of shows, I'm being more selective about the artists I see and am buying tickets for seats closer to the stage. Another example of this is that I love working in the yard and gardening, so instead of just doing maintenance and pulling weeds, I'm setting aside time to read and learn more about cultivation and taking better care of the tiny patch of land my house is on so I can focus on making my favorite beautiful things grow. When it comes to food, I've made some changes and have focused my life a little differently, too. A few months ago, I found myself getting stressed out that I wasn't cooking through this book fast enough, or at least at the same pace I did with French Laundry at Home, and I had to stop and think about why that was, and more importantly, why it was bothering me. I think it was bothering me because I love this little community we've built here. I love reading your comments and getting email (some with photos of the dishes you've done from the book). I love cooking the dishes from this book. I love what I'm learning. But I had to wrap my head around the idea that this isn't a competition and it's not a race. There is no point and no purpose in just making something to cross it off a list and post it online. That's not why I chose the Alinea cookbook as my second blog. I chose it because I needed to learn differently about food, and I needed to do something that made me feel a little uncomfortable and out of my comfort zone. If I'm not challenged in certain areas of my life, I am bored. And a bored Carol is a miserable Carol. Trust me. Lately, I've gotten a few comments and emails that said, "I wish you posted more often" (sometimes they're worded nicely like that, and other times, not so much). And you know what? So do I. The reality of it is, cooking through this book is a different beast, and I'm at a different place in my life. I want different things from this experience than I wanted from FL@H. I know what some of those things are, but I know even more of them will reveal themselves long after I've finished. A few weeks ago, as my dinner at Alinea was fresh in my mind, Michael Ruhlman wrote a piece that struck a chord with me. It's called Literary Interlude: Unfinished Business, and I encourage you to read it when you have the time. He writes about a book called Unfinished Business, which made him wonder what his own unfinished business is. He then asked his readers to think about their unfinished business in the kitchen: what kind of things have they always wanted to make or master. I took my time reading through the comments, and I hope you'll do the same because I think there are some great untold stories about people's larger unfinished business, revealed merely in their words about food. 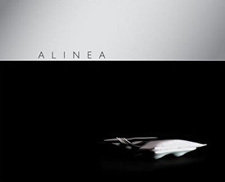 I feel lucky to have eaten at Alinea, now, three times. Incredibly lucky. I also feel incredibly lucky that every time is better than the last. And when I think about the notion of unfinished business when it comes to how I eat and cook and live my life, I've realized it all comes down to one thing for me: did my day have pleasure? Could it have had more? That, for me, is my unfinished business. Pleasure is about desire and inclination. It's about wanting something, doing something to make it happen, then being gratified when it does. Pleasure, for me, is active. It's not greed, because I'm not talking about possessions or material wealth. It's also not the same as happiness or joy, which can come into your life with no work or effort at all. What I'm talking about here is being intentional. My dinner at Alinea this month left me at a loss for words because it was truly one of the most pleasurable experiences of my life. Not only was it more than four hours of no cellphones and no email, it was eating great food, drinking great wine, being with great company, giggling with our servers over the April Fool's Day prank, seeing Grant, Dave and the team hard at work in the kitchen, being humbled by the skill and craft that went into every single moment I was there, and allowing myself to just take in the incredible experience being given to me in that restaurant. It was perfect in every sense of the word. To me, there's nothing more appealing and attractive than confidence, and every single dish placed before us was confidence on a plate. There was nothing tentative. Nothing halfway done. Nothing arrogant or eye-roll-inducing. Pure confidence, through and through. And, it really solidified, for me, this notion of more pleasure being my unfinished business, whether it's in life, in food, or as a part of this blog. So tell me: any meal ever render you at a loss for words, and why? And, what's your unfinished business? Below you'll find my interview with Joe Catterson, Alinea's GM. But first, I hope you'll indulge me in a little link-love. I hope you all regularly read Hank Shaw's fantastic blog: Hunter, Angler, Gardener, Cook. I'm a long-time fan of Hank, and had the great pleasure of meeting him (and Holly, hi guys!) in New York in early May. Hank and I talked about the Alinea cookbook and how, when seasonal ingredients come into the markets, a home cook could really find inspiration in this cookbook. And, he's gone and done it. Here's Hank's post, Porcini-O-Rama, featuring a dish inspired by "Porcini" on Page 180 of the Alinea cookbook. I love it! Only wish I'd been there to eat it. Overseeing the service staff at Alinea is our GM/Sommelier Joe Catterson, a native of New York who, before settling in Chicago, had also lived in Seattle, Los Angeles, Berlin, London, and Tenerife. A career path that zigzagged between service and management positions in numerous fine restaurants and studies and professional engagements as a classical musician, found itself focused on a long-held passion for wine. Catterson honed his chosen craft and was named Sommelier at Le Français in 1996 and later also at Les Nomades. Challenged to create a wine program for Trio to complement the cuisine of incoming chef Grant Achatz, Joe found an ideal environment to explore the pairing of wine and spirits with Chef Achatz' cutting edge menus. The opportunity to entice diners with a highly eclectic selection of obscure discoveries as well as classic favorites led to Chicago Magazine bestowing "Best Wine Program" honors to Trio in their 2002 and 2003 restaurant award issues, and naming Joe "Best Sommelier" in 2003. Carol: First of all, congratulations on Alinea's 2010 James Beard Award for Outstanding Service. Having dined at Alinea, I know why you won; but, if you were to encapsulate Alinea's service philosophy in 20 words or less, what would it be? Joe: Strive for detailed, polished service. Create a comfortable tempo and flow for the experience. Provide engaging narrative for the cuisine. Catterson, celebrating with what looks like a g&t at the James Beard Awards, New York, May 3, 2010. Carol: How did you get to Alinea? Joe: Henry Adaniya invited me to return to Trio when he hired Chef Achatz. He knew I would enjoy creating a wine program to match Grant's cuisine. Alinea was the next step, taking what started at Trio and finding ways to make the entire dining experience more polished and complete. Carol: In the course of your career, how have you seen restaurant service evolve? Are diners more/less demanding than in the past 5, 10, 20 years? Joe: My experience is that diners are increasingly more knowledgeable about food and wine, and in many ways more demanding, but also, on the whole, more respectful and appreciative of a well-trained and professional server. But as far as demanding diners, in a sense, we work at Alinea to diffuse the diners' need to control the dining experience; they'll have the best time giving themselves over to our program. Carol: Does your front-of-house staff turn over regularly, or have many folks been on board for the five years Alinea has been open? Joe: Very few remain from the opening team, but there’s been little turnover in the past 2 plus years. Right now we have a very solid crew. Carol: Alinea is moving to a single menu in August. What kind of impact will this have on both the kitchen and the front-of-house service? Joe: It will increase efficiency in many regards, but the net result will be a longer average menu and actually a small reduction in the number of guests we serve per evening. More diners will get a broader sampling of our cuisine, and our currently very long workdays should become somewhat shorter. Carol: It seems Grant's post on Alinea-Mosaic about photography and videography has spurred some debate, leading to many misinterpreting his post to mean that he hates or wants to ban photography altogether. Care to set the record straight? What is the restaurant's policy on photography and videography in the dining room and kitchen? Joe: It’s a very double-edged issue, isn’t it? On the one hand, much of the photography that gets shared in posts and blogs has undoubtedly served us well as effective promotion. On the other hand, the act of taking the pictures can be disturbing to other diners and, for that matter, to the staff. We allow photography, but ask that in consideration of other diners, people not use flash in the dining room. For some reason, there are always some folks that don't agree with that policy and don't understand why we would ask them to do without the flash. So they flash anyway, and we ask them not to, et cetera. Some people will unabashedly film the chef preparing something at another table; we're amazed that we need to suggest that that might be intrusive of the other diners' experience. We get frustrated that excessive photography (I've seen people honestly stage a dozen shots of a single dish, multiplied by 20-odd courses) interrupts the pacing of the menu (something we feel is important to the overall experience), and sometimes detracts from the intended experience of a dish, particularly when temperature is an issue. I honestly get the impression that for some people, the act of photographing the food is more important to them than actually enjoying the food. I hope I’m wrong about that. But no, I don’t believe anyone here hates or wants to ban photography. We would, however, hope for moderation and, mostly, higher consideration for the dining experience of others. Carol: Thank you for clearing that up. And while we're on the topic of manners, I'm not asking you to rat out rude diners or "tell tales out of school," but what kinds of things do you and your team find most frustrating or challenging? Is it people who talk too loudly? Show up drunk? Not understand the concept before making their reservation? Show up with a list of alleged food allergies instead of telling the reservationist ahead of time? Joe: I’m sure we could post quite a long list, but I think you landed on one of our most regular challenges. It is disappointing that there are often groups who seemingly have no concept that the volume of their conversation and laughter is out of any reasonable proportion. Of course we want them to have fun, but there are other people in the dining room. Pretty basic lack of manners. Carol: Most chefs I know do what they do because they've always known they wanted to cook. When it comes to the service side of the business, I'm wondering if the same pull is there. Did you always know this is what you wanted to do? Joe: I was always interested in wine and cuisine; I became fascinated by the running of a restaurant and the choreography of the dining experience. This was never my first choice of career, but it was something I did for a job and came to appreciate more and more over time. Carol: Never your first choice of career? What was? Astronaut? Cheesemonger? Neurosurgeon? Race car driver? Barber? In a dream world, is there another career you'd love to pursue? Joe: When I was in high school, I narrowed my college choices down to studying architecture, enology, or music. Music won out. My choice of career was playing the horn. I was lucky enough to get to do that for a while, but unfortunately injury led me to veer from that path. If I were to leave the food and wine business altogether, I’m sure I would find some way back into music. Carol: What advice do you have for those who want to get into the restaurant management business? Do you need a culinary or hospitality degree? Or, can you learn by working for good people/establishments? Joe: I’ve seen people get great benefit from culinary and hospitality degrees, and I’ve seen many who didn’t. I was fortunate to work for talented people in some really excellent restaurants. It worked out to be an effective education for me. Whether someone chooses a focused culinary or hospitality degree or not, I don’t think there is any substitution for practical experience in the best venues possible. Carol: You're managing service and operations at Alinea while also helping open Next Restaurant and Aviary. (do you ever sleep?) How will service be different at these two new ventures? Will some of the Alinea staff move over to either of these new spots to help during the opening? Joe: The nature of the new ventures will undoubtedly be more casual, but we would certainly expect to uphold similar standards of service. The bottom line of the success of Alinea's service is the care and thoughtfulness everyone in the house applies to their job, I should hope we will be able to carry that over to Fulton Street. And yes, bringing along team members from Alinea will be an important step in expanding the brand. Carol: Alright, no more talk about work (for a minute). What's your ideal vacation? What do you like to do when you have time off? Joe: An ideal vacation definitely includes plenty of beach time. I also very much enjoy exploring other cities, checking out the local food scene, art, and architecture. With time on my hands I will go to symphony concerts, look for good jazz, get to sports events when I can. And, over the past five years I’ve played a fair amount of poker. Carol: What did you have for staff meal last night? Joe: We had chicken breast fillets with a very tasty barbecue sauce, fingerling potato salad, slaw, and green salad.